For the past seven years I’ve been working on a weird little book. Now it has a pomegranate. And a bug. And a pub date (8/11/15). This new novel opens in the middle of Josephine’s interview for a data-entry job with an interviewer who has no face. Josephine gets the job and on page 26 you will find this irresistible paragraph. Still, the distance between four o’clock and five o’clock, between 148 files and 166 files, often felt interminable. Sometimes, in the depths of the afternoon, Josephine would have a thought–an intense, riveting thought, incongruous with her current task and location, something she ought to share with Joseph, a hind of a scene from a dream or a forgotten memory from when she was a kid, a complicated pun or a new conviction about how they ought to live their lives–then the moment would pass and the thought would be lost, trapped forever between the horizontal and vertical lines of the Database. She’d spend the rest of the workday mourning the loss, resenting the jail cell from which her thought would never escape. In the late afternoon, frantic for respite of any sort, she might pull a yogurt and spoon out of her bag and peel back the foil and shut her eyes and begin to eat it blind. All of us are, to the bureaucracy, simply a series of pieces of paper: a birth certificate, a voter registration, a visa application, a marriage license or two. We don’t feel like a piece of paperwork, and yet these forms and licenses gesture toward the entirety of human experience: the vitality, the lust, the grief, the loneliness, the hope. Although Josephine’s job is tedious, Helen’s book is not. As did her collection, The Beautiful Bureaucrat mingles the mundane and the absurd, the common and the magical. Throw in some Kafka and some suspense and voila. On August 9th, The Beautiful Bureaucrat received a smart, full-page review, “God and Data Entry” by Jamie Quatro in the Sunday NYT. 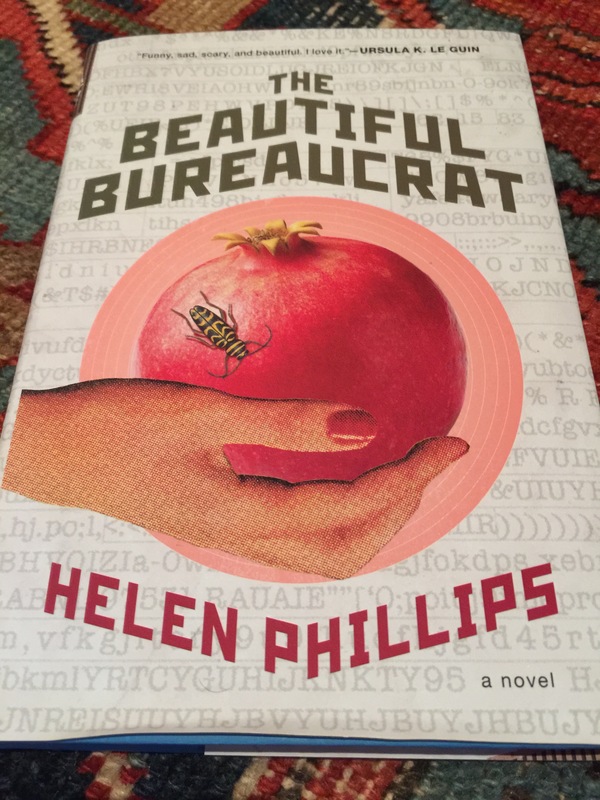 What makes The Beautiful Bureaucrat a unique contribution to the body of existential literature is its trajectory, as the story telescopes in two directions, both outward to pose macro questions about God and the universe, and inward to pose intimate inquiries about marriage and fidelity. 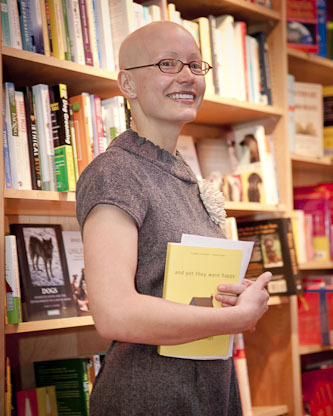 Please follow the link below to check out Helen’s new website and to read more, more, more about this cool writer. Come back on SEPTEMBER 1st to read how HELEN PHILLIPS spends her days. Oh, wonderful. I can’t wait!